The FBI and the Department of Homeland Security have released an alert saying the government of North Korea appears to have been using a malware to home in on telecommunications, finance and aerospace sectors since 2016, ZDNet reported Tuesday. The FBI and DHS’ U.S. Computer Emergency Readiness Team said in the alert issued Tuesday that they identified internet protocol addresses and other threat indicators linked to the Fallchill malware. Fallchill is a remote administration tool that infects a victim’s computer through the use of fraudulent Transport Layer Security communications and multiple proxies to obscure network traffic. The agencies labeled North Korea’s network intrusion activity as “Hidden Cobra” that can potentially have “severe impacts” such as loss of proprietary data, disruption to operations, financial losses and potential harm to an institution’s reputation. 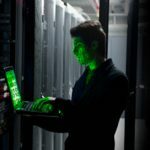 DHS urged administrators and users to adopt measures to protect computer networks from the malware and those include the use of application whitelisting to block malicious software and installation of latest software patches.